Sprint has worked out a deal with U.S. Cellular that brings more spectrum to the nation’s third largest carrier for its LTE rollout and an additional 585,000 subscribers in the Midwest. 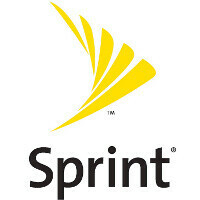 For that Sprint will pay the regional carrier $480 million in cash. Sprint is getting around 30 MHz within the 1,900 MHz bands in the states of Illinois, Indian, Michigan, Missouri and Ohio. Additionally, Sprint will use the extra bands to expand its existing coverage. The deal is expected to close around mid-2013 and until then, the new subscribers won’t be transferred to Sprint, but will rather remain on U.S. Cellular. US Cellular on its part explained that it decided to sell those markets because "we aren’t reaching the rate of profitable customer growth we need to justify continuing to make investments." Still, that’s a pretty large sale accounting for nearly 10% of U.S. Cellular’s whole subscriber base. And for Sprint, this is just one of what seems a future of many changes as the company gets acquired by Japanese Softbank. I have a few acquaintances with USC. They won't be happy about this deal. Several moved to USC to get AWAY from sprint! This is the new improved Sprint, the people who ran away will be pleasantly surprise how much Sprint has change (Customer Service to Services). Sprint has learn a very major lesson (on the brink of going out of business) on how to treat their valuable customers. Now T-Mobile needs to buy U.S. Cellular's AWS-1 spectrum for the Mississippi Valley Region. And buy Cricket as well for more AWS spectrum. Just so you know the dots represent all of 4g not just LTE, like the legend says, because Pittsburgh only has WiMax. Really disapointed at USCC to do this. They dropped this on their customer base and employess with almost no notice. They've always been pretty ethical when it comes to things like this, but this time they left a sour taste in my mouth. I guess that's curtains for the US Cellular customer guarantee lol...that brand new initiative lasted for all of 3 months. "AT&T and Verizon aren't doing anything like this..." & apparently neither is USCellular anymore.